Synopsis: ANT-MAN AND THE WASP is a US sci-fi action adventure in which the two superheroes take on a new foe who is determined to steal their technology. 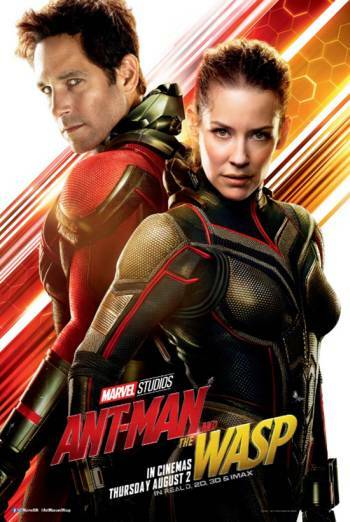 ANT-MAN AND THE WASP is a US sci-fi action adventure in which the two tiny superheroes take on a new enemy who is determined to steal their technology. Other issues include moments of mild threat and occasional innuendo. For example, Ant-Man is told off for 'comparing sizes' with another man while explaining how large he was able to grow during a previous adventure. There are uses of mild bad language. There is an implied drug reference. More information is available for parents on the main BBFC website and the free to download BBFC app.